Shadow of Mordor is so fun. I haven't had a game grab me so quickly for a long time. I finished the main story campaign in only three play sessions, but my play time was over 12 hours. That's an average of over 4 hours for each play session which is crazy for me these days. I liked the game so much that after I finished it I went back to just play around in the world. I never do that. 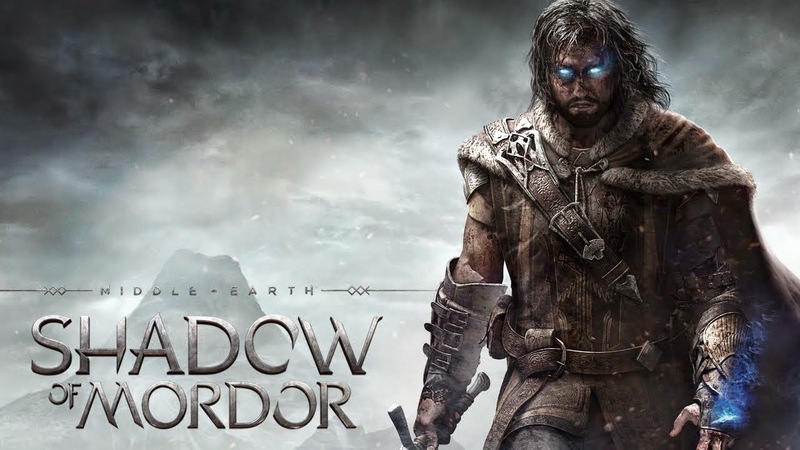 Shadow of Mordor is basically a great blend of the Assassin's Creed and Batman Arkham series.... set in Middle Earth. The stealth gameplay and assassinations are modeled after the Assassin's Creed format and the combat system is directly taken from the Batman Arkham games. It makes for such a fun mix. All the gameplay element are solid and the basic moment to moment gameplay is very fun. The coolest part of the game is the Nemesis System. The orcs have a hierarchy that is constantly in flux. They challenge each other, gain in power, get killed, get replaced, and overall just jockey for position. The cool part is that every orc with a rank of Captain or higher gets an individual name, personality, and traits. One orc may be a drunk that's vulnerable to melee combat and scared of ghuls. Another may be a battle master who is immune to all melee and ranged combat but is vulnerable to stealth. They really feel like individuals. When you encounter one of these high ranked orcs they taunt you and try to kill you. If they succeed or escape they will gain in power and their traits may change. You truly get to know these orcs as time goes on. Early in the game I was in the middle of a big melee brawl. I was low on health but holding my own against the horde around me. But then an anonymous orc killed me with a lucky arrow from a nearby tower. That orc was promoted to captain and hounded me off-and-on for the rest of the game. In one fight I had him extremely low on health and he tried to escape. I couldn't catch him but I took a couple pot shots with my bow while he ran off and one hit him in the eye. The next time I encountered him he had a makeshift canvas eyepatch over that eye. The time after that he had metal grafted over what used to be his eye. By the end of the game he had a very distinct face because he continually improved his metal headgear as he moved up the ranks. All of this happened organically, and that's the best part. The story campaign is fine but the real meat of the game is messing around with the orc army in the open world. That's where the true magic of Shadow of Mordor shows itself. In the second half of the game you can even use your character's powers to bend orcs to your will. I had a ton of fun turning Captains to my side and then slowly helping them work their way up through the orc hierarchy all the way to Warchief. I anticipate Shadow of Mordor to be a game I go back to casually for quite awhile. It's a great world to play around in and explore. If messing with an orc army sounds like your cup of tea this is easily the best game for the job.